Pilsners vs. Lagers: What’s the Difference? What is the difference between a pilsner and a lager? Is pilsner a type of lager? If you find yourself asking questions about pilsners and lagers every time you reach for one, continue reading for your answers! There are hundreds of beer styles around the world and it is easy to get confused by them. Many beer styles have similar flavours, aromas, and colours which can cause beer drinkers to mix up what beer style they are actually sipping on. Some beer styles are their own category, while others actually have beer styles within them! So, how do we tell the difference between certain beer styles, like Pilsners and Lagers, for example? What’s the Difference Between a Pilsner and a Lager? Lagers vs. Ales – What makes a lager a lager? A lager beer is one of the two main beer types in the world (the other being an ale, of course). So, what’s the difference between a lager and an ale? The difference is the type of yeast used in the fermentation during the brewing process. Opposite of ales, which use “top-fermenting” yeast and are brewed at warmer temperatures, lagers are brewed at a cooler temperature with “bottom-fermenting” yeasts. This means that the yeast ferments at the bottom of the fermentation container. Bottom-fermenting yeasts strains don’t normally feature fruity characteristics that top-fermenting yeast does. Lagers tend to have a more crisp and cleaner flavour than ales. It is usually quite easy to tell the difference between an ale and a lager by the taste. Since lagers are a very broad beer style, there are actually many lager styles. A California Common / Steam Beer, Malt Liquor, Märzen, Bock, Dunkel, Schwarzbier, Pilsners, and even more are all types of lagers! Pilsner got its name from the Bohemian city of Pilsen, where Pilsners were first produced in 1842. Josef Groll used Saaz hops when brewing to prevent his beer from becoming spoiled. To this day, pilsners are the most popular beer style in the world and the Saaz hops are what defines them. Pilsner is actually a type of pale lager that is a refreshing, palate-cleansing, thirst-quenching beer. Pilsners are usually lighter in colour, ranging from light straw to golden. The Saaz hops in pilsners tend to make the beer a little “spicy”, but not in a spicy-hot or a pumpkin spice way. You’ll find that the Saaz hops have a light “kick” to them, and gives your beer a hoppier taste than your typical Budweiser. So, we know a pilsner is a type of pale lager, but did you know that there are actually different styles of pilsners? We know – this is getting confusing! The most common style of a pilsner is a Czech Pilsner, which is sometimes called a Bohemian Pilsener. Czech Pilsners are popular because they were the first born and are the inspiration for most of the world’s beer today. 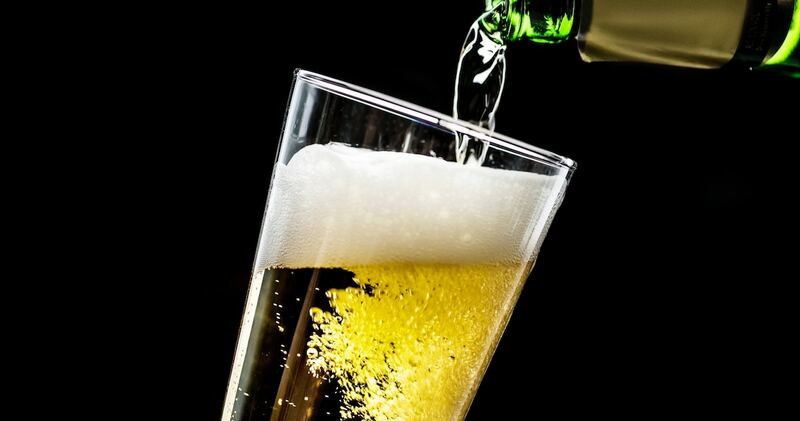 Other types of pilsners include German Pilsner and the classic American Pilsner (A.K.A American Pale Lager). These pilsner beers from different areas of the world have enough similarities to share the category, but they also have certain characteristics that set them apart. Now that you know a pilsner is a type of lager, you’ll be able to flaunt your brew knowledge to all the beer noobs at the bar who are still asking “What’s the difference between a pilsner and a lager?”. Cheers! What Makes a Beer “Sessionable”?